On March 8—International Woman’s Day—Iskwew Air was officially launched out of Vancouver International Airport’s south terminal. The airline is the first of its kind in Canada, being entirely Indigenous and female-owned. CEO Teara Fraser—a Métis pilot and entrepreneur—hopes the airline will be able to bring flight opportunities to Indigenous communities that are currently overlooked and underserviced by major flight paths. Fraser wants to give curious travellers the ability to visit remote Indigenous areas, as well as keep the residing communities connected with accessible transportation. 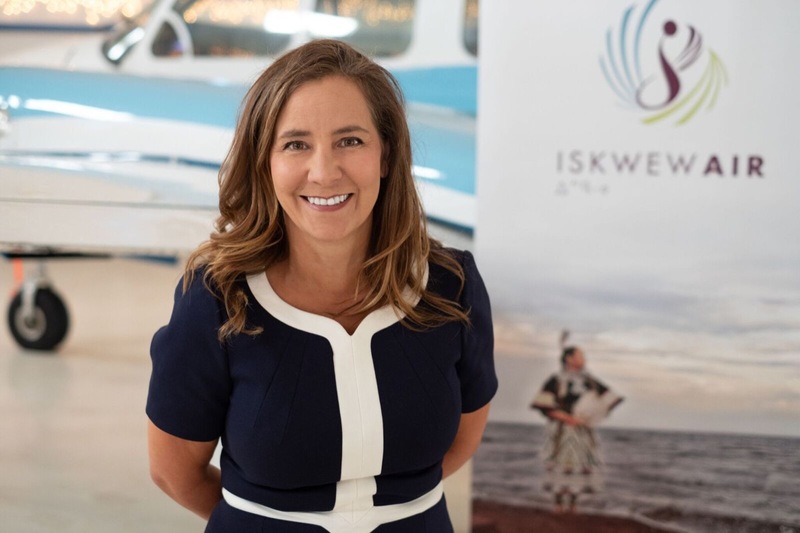 Accessibility and tourism are at the core of Iskwew’s operations, but Fraser also aims to celebrate Indigenous womanhood and encourage more Indigenous women to go into piloting. The name of the airline, “Iskwew,” means “woman” in the Cree language. The airline launch went forward with permission from the Musqueam people, as it will be operating on their unceded territory. Iskwew Air will offer air charters and scheduled services. As a member of the Indigenous Tourism Association of Canada (ITAC), the airline looks forward to bringing unique experiences to travellers while simultaneously stimulating Indigenous tourism and economy. The airline will also work in conjunction with Give Them Wings, a Vancouver-based company that looks to inspire Indigenous youth to enter the aviation industry. With plans to offer pilot ground school in various formats, Give Them Wings seeks to provide Indigenous youth with the proper training and support to join the aviation workforce. They currently offer workshops for Indigenous youth and families to learn more about the industry and speak to Indigenous pilots who can help them build their own career paths. “This is an amazing ‘first’ to witness in Canada’s history and I hope that Iskwew is successful in their expansion,” said Kayla Wood, an Indigenous woman and future Douglas College student. Wood expressed her belief that the airline’s launch will show Indigenous women that there is a plethora of career opportunities available for them. Wood said that growing up, she wished she felt more believed in. Iskwew Air currently only has one twin-engine aircraft—a Piper Navajo—to begin charter services in the coming weeks, but the airline has plans to expand over the next few years.